Everyone needs extra cash for Mom and Dad's day, vacations, and graduations coming up. 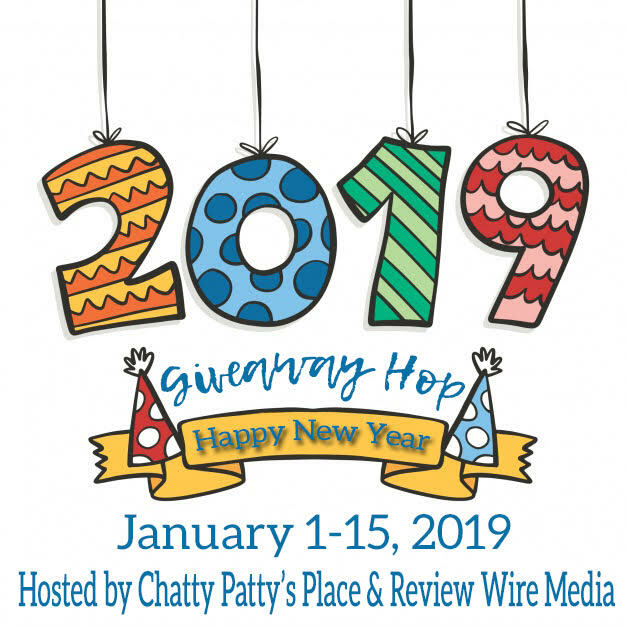 A GREAT group of Bloggers have gotten together to giveaway LOTS of cash to 1 WINNER! This giveaway is in no way endorsed, affiliated, or associated with Facebook, Twitter or any other Social Media Networking Site. This Giveaway is valid Worldwide. Entrants must be 18+ years of age to enter, and have a PayPal account. This giveaway event will end at 11:59 PM (EST) 5/14/19. The winner will have 48 hours to email their information back to las93063 at gmail dot com or a new winner will be drawn, you may want to put this email address as safe as it could go to spam. The giveaway is not valid where prohibited! By entering you are authorizing us to collect the information on the form below, this information is used only to contact the winner! Buena Suerte Beautifuls and have a Bella Spring! 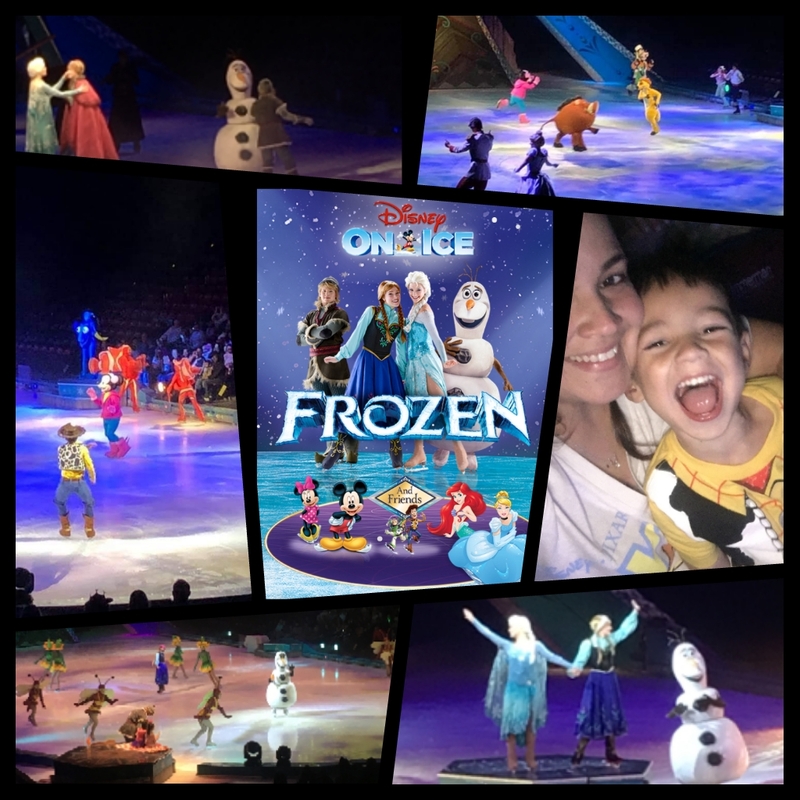 The bella people de Disney On Ice hosted Babushka’s Bunch to their S.Florida showing of Frozen. The opinions stated and joy shared was all ours. 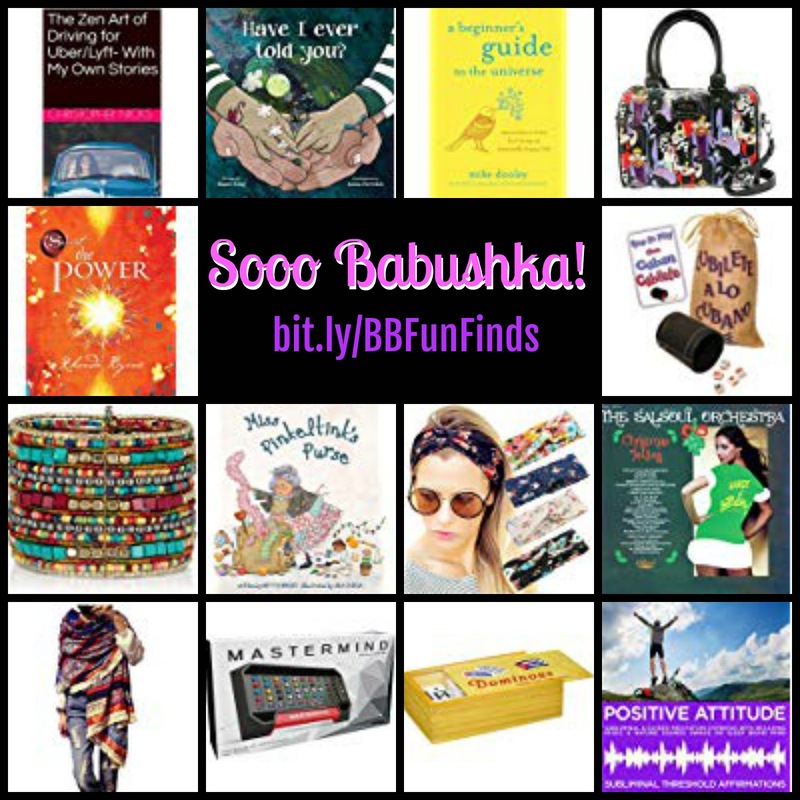 A perfect mix of Frozen and other Disney Classic Friends to make it a feliz lifetime family favorite memory; Babushka and her Bunch say it's BUENISIMO!! As an Amazon Associate Babushka will receive a small commission on items sold. Babushka, like most of you shops on Amazon. Found so many nice cositas that BB thought you'd enjoy, so became an Amazon Associate. Hope you enjoy the items listed, porque running Cubantime Babushka hasn't promoted and she needs to have at least 3 sales to keep the association. Did Babushka mention she has until the 15? Quee?? Do things ahead of time? JU SO FONII!!! 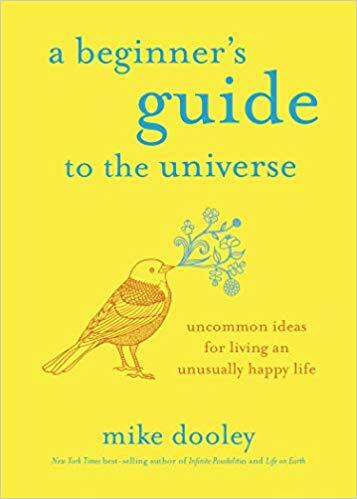 "The beloved creator of Notes from the Universe distills a career's worth of inspiration into elegant, brief lessons for making our way through the world--conceived as a guidebook for his young daughter yet relevant to everyone who's living a life on earth. (In other words, everyone.)" 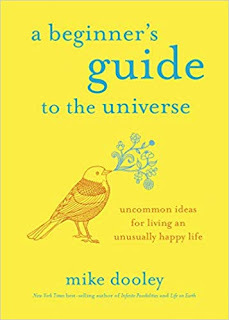 If you're into LOA, positive attitude, a better world, then this is a libro you'll love. A little book that'll grab your corazones with it's powerful illustrations and wording. You'll be catching your breath and heart with this one. Now, we have the mind going with some fun, how about our outer selves? No reason we can't look good while dancing con la vida. Here are two items Bohemians gotta have. and that BB meets her goal so she can share some more! 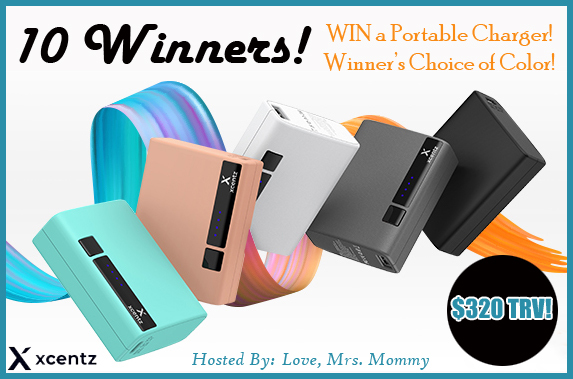 Portable Charger #Giveaway - Gracias @Love_MrsMommy !! Just because Babushka's siempre charged up doesn't mean her electronics are, and hoy en dia if you don't have your celular, you have nada. So... here's a great way to always be con bateria. Fast and easy, both the charger and the giveaway. 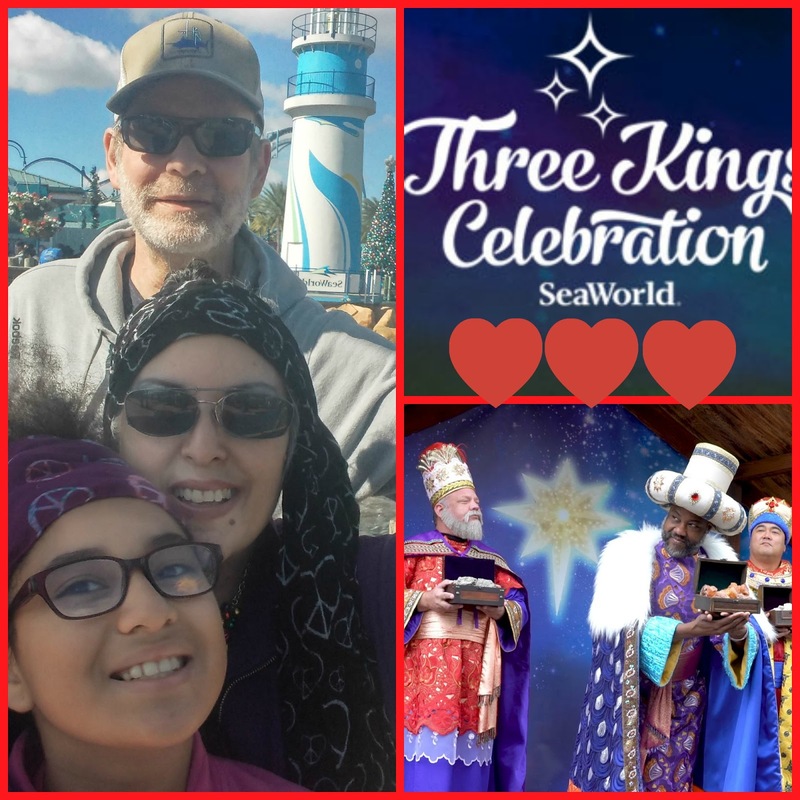 Read on and enter!! We're giving away 10 of these batteries, but if you'd rather buy one outright, we have an exclusive coupon code! 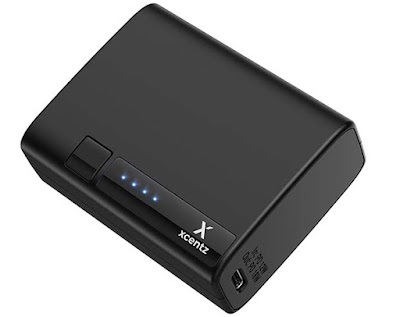 When you buy the Xcentz portable battery on Amazon, enter code XCENTZS14 at checkout to drop the price to $19.99! Expires April 15th. Recharge 2x faster: With USB-C power delivery input, time for a full recharge is reduced to 3.5 hours, save up to 3 hours than standard micro charger. USB-A to USB-C charging cable is included but USB-C wall charger is not included. 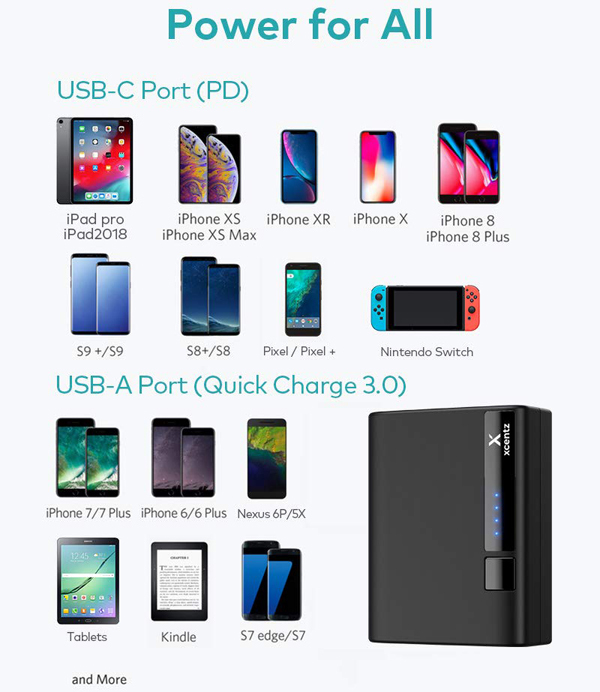 Huge Charging Power: 10000mAh of power charge iPhone 8 up to 3.5 times, iPhone X up to 2.5 times, Galaxy S9 up to 2.3 times, Galaxy S8 up to 2.3 times, iPad Air2 up to 1 time. Safety First: LG 21700 battery for over 500 charge / recharge cycles and still holds over 90% juice. Xcentz's exclusive smart technology to protect your devices against overcharge, short circuit, and overheat. Last 3x longer for use. Astonishing Size: Xcentz wingman Dual 10000 is small as 1/2 iPhone 7 and lightweight as a baseball. Incredibly smallest portable charger slides easily next to your phone in any pocket or purse. Best choice for traveler and those who don’t like bulky battery charger. BB not keep her Beautifuls en lo ultimo? JU SO FONII!!! Babushka let the month of Love end without a giveaway to show her Amor? And naturally BB had to join this one, porque c'mon, it's a corazonsito, a heart. 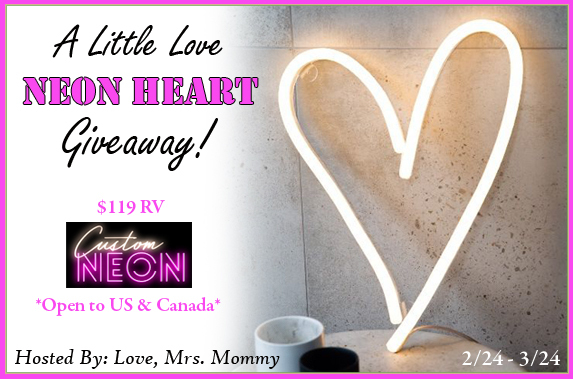 A Little Love LED Neon Heart Light in their choice of color! This is an LED neon light on an acrylic backing cut around the shape. 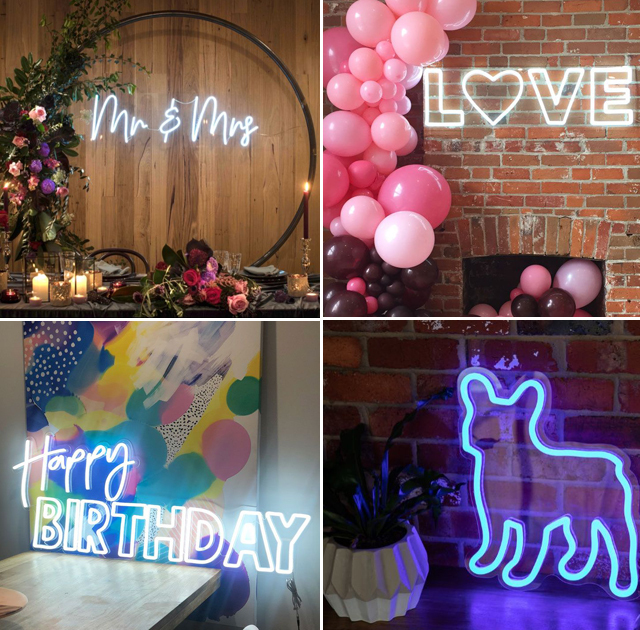 This sweet neon lamp is small enough to place on a bedside table, yet bright enough to add to a floral arch at an event. Today is Valentine’s Day, and seeing that children and books are two of BB’s biggest loves, figured it was a perfecto combinacion. The books shared here were given for review. Opinions are Babushka’s. Children’s literature hoy en dia, today’s books are touching subjects Babushka doesn’t recall reading about when she was young. Not in the libros of that era, nor the ones BB read to The Trio. Subjects on selfworth, knowing family love, respeto,homelessness, muy importante and worthy of discussion. The following two books deal with some of these topics in engaging and endearing ways. 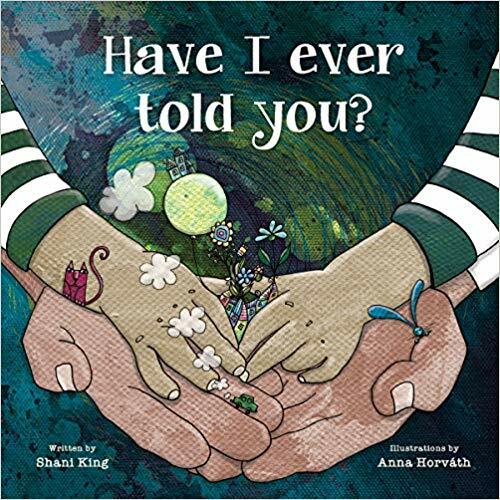 "Have I Ever Told You? By Shani M. King and illustrated by Anna Horváth (January 2019; ISBN: 978-0884487197; Hardcover $14.95; Ages 5-6) offers "powerful words of love and encouragement...to children of all ages, races, religions, and walks of life...followed by character-building affirmations of dignity, respect, and value" (Foreword Review). It holds the message of dignity that every child on this earth needs to hear: You are loved. You matter. You make me smile. You make me the happiest person in the world, just by being you. Shani King wrote Have I Ever Told You? as a note to his children, to remind them that they are amazing in their individuality and that they have the power to choose who they want to be in this world. 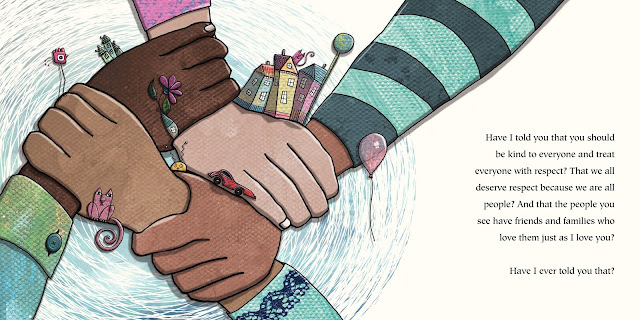 The illustrations create a masterful visual narrative: warm, witty, simple, profound, and as ferociously empowering as a children’s book can be." Winner of the MOONBEAM SPIRIT AWARD for dedication to children’s books and literacy and for inspired writing, illustrating and publishing. Este made BB catch her breath at the belleza of the words and their power- for all ages. Y hablando of catching one’s breath, who does this remind you of?? What is that disclosure- "Any resemblance to a living person is purely incidental." 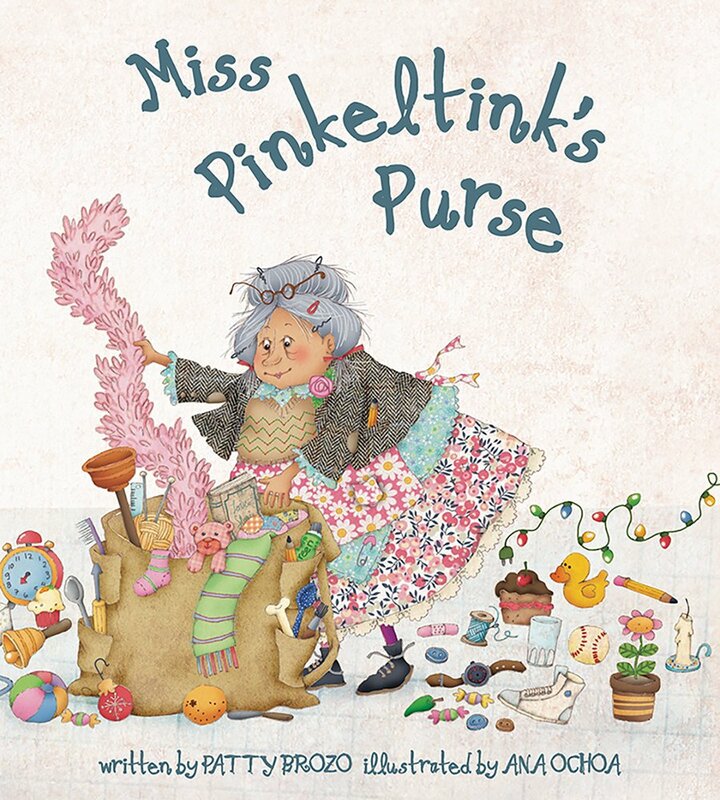 Miss Pinkeltink’s Purse by Patty Brozo and illustrated by Ana Ochoa (ISBN: 978-0884486268; Hardcover $17.95; Ages 4-8). "From its humorous opening through its sad midpoint and uplifting end, Miss Pinkeltink’s story shines a light on humanity. This story with children as agents of positive change reminds us again that communities are best known by their treatment of the disadvantaged among them. "Rosy-cheeked and quite antique, Miss Pinkeltink / carried everything but the kitchen sink. 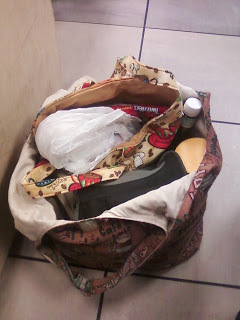 / Her purse was so big that it dragged on the floor. 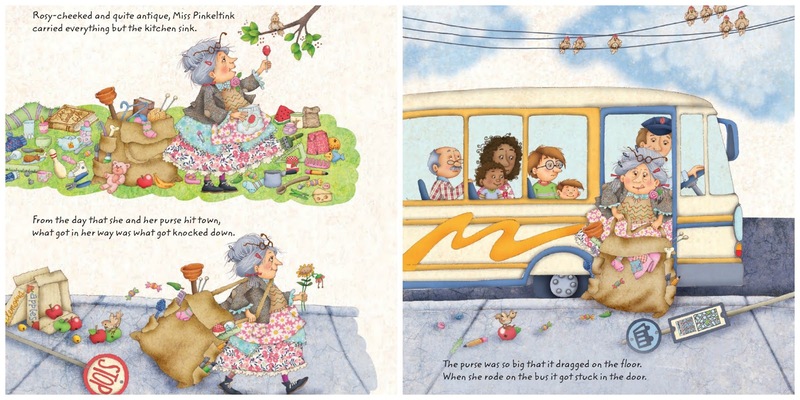 / When she rode on the bus it got stuck in the door." Generous and eccentric, Miss Pinkeltink fills her huge purse with everything from a toilet plunger to roller skates, and then gives it all away. She offers tape to fix a flat tire and a bone to a kitty: Miss Pinkeltink’s gifts never quite hit the mark, / but she gave what she had, and she gave from the heart. And then, with nothing left to give or to shelter herself, she huddles on a park bench, trying to sleep in the rain. And that’s where Zoey sees her from her bedroom window and knows that something must be done." 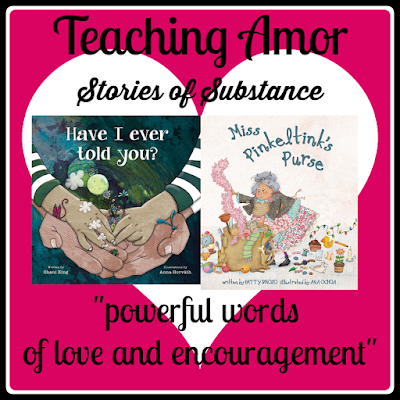 What must be done Beautifuls is to share the love, and no better way than to read and show our little ones how. These two libros BB recommends de corazon- to the point that they're on Babushka's Amazon Associate List below. Whether you buy or borrow from the library, read and relay the messages of Amor, porque it's never too early-or too late for stories of substance. 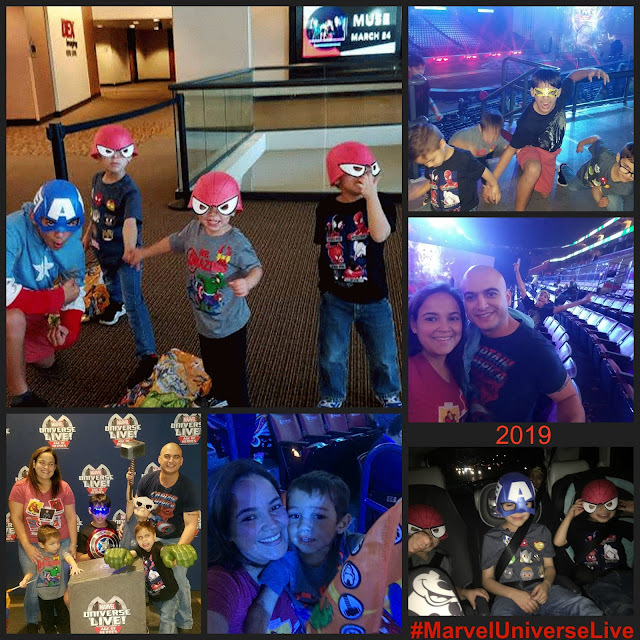 Babushka's S.Florida Bunch were hosted at the #MarvelUniverseLive event last week. This post is a recount of their impression and opinions. For her part, BB was glad they got to add another happy momento to their memorias. Being fans of the Avengers, Babushka's Bunch had to be on hand to cheer them on during battle. They remembered the last time they saw them and knew this battle was going to be bigger. 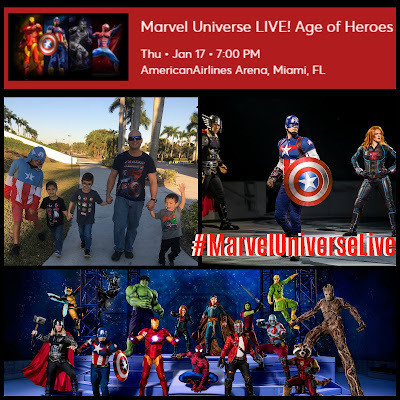 Actually Little Buddha hadn't been born the last time Marvel made it to Miami, so his reaction when he saw his heroes? Truth be told, they were all very happy to see the Avengers. It's an experience enjoyed by ALL ages. 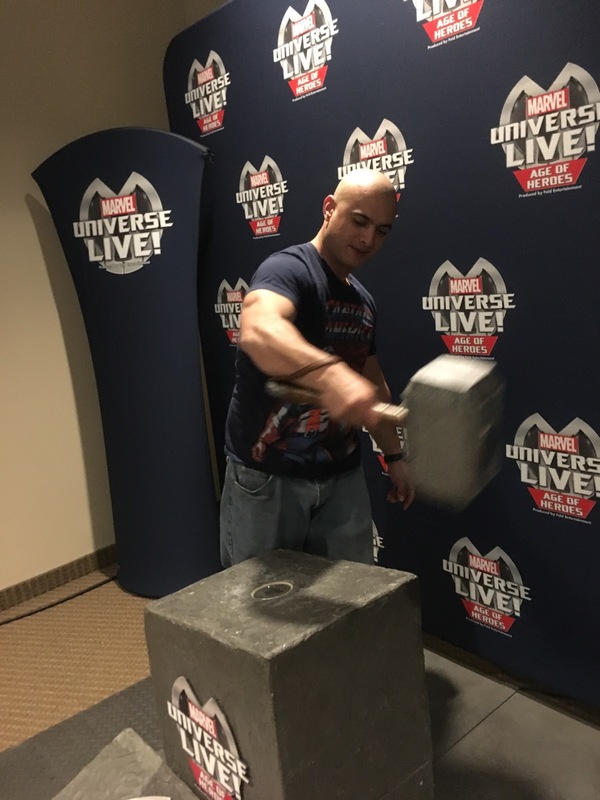 Once the meet up was done, it was time to for the show to begin. Time to cheer their heroes onto victory! "Marvel fans, assemble for this live, action-packed, legendary battle to defend the universe from evil. Spider- Man, the Avengers and the Guardians of the Galaxy join forces with Doctor Strange, master of the mystic arts, in a race against time to recover the Wand of Watoomb before it falls into Loki’s hands. This ancient artifact holds immeasurable mystical power and would allow Loki to achieve his eternal quest to crown himself ruler of Asgard and Earth. 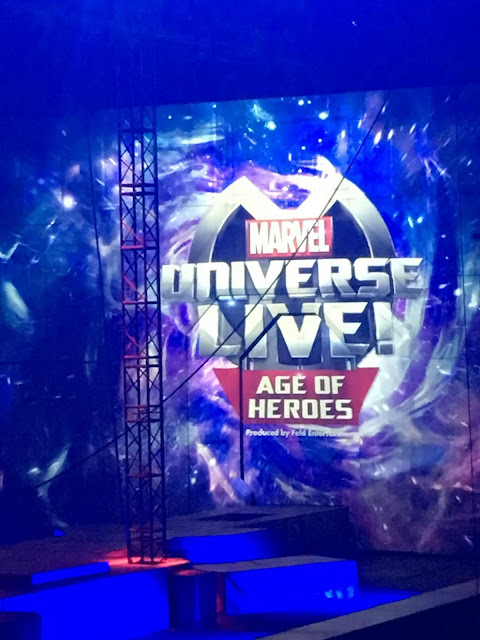 This all new show unites some of Marvel’s greatest Super Heroes including Iron Man, Captain America, Thor, Black Panther, Hulk and Black Widow against some of the most threatening villains. Their journey sparks new feuds with old foes, pitting student against mentor, sister against sister and brother against brother. 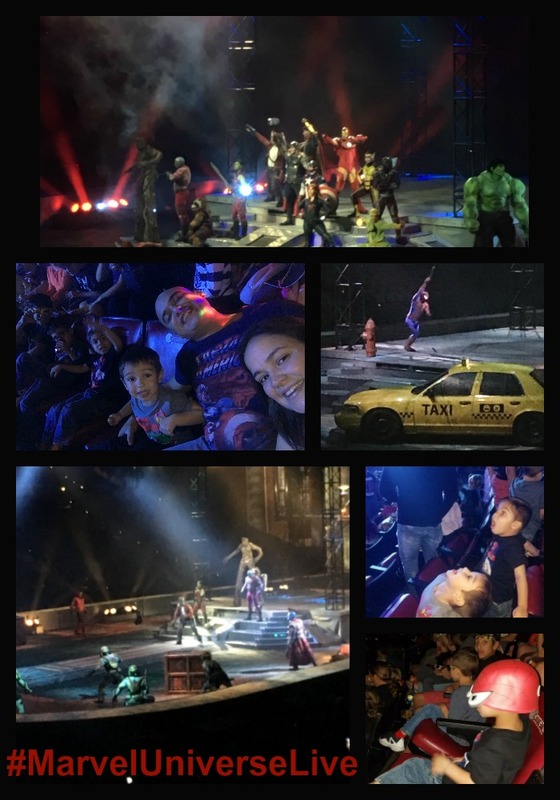 Witness cutting-edge special effects, aerial stunts and video projection in this incredible adventure. 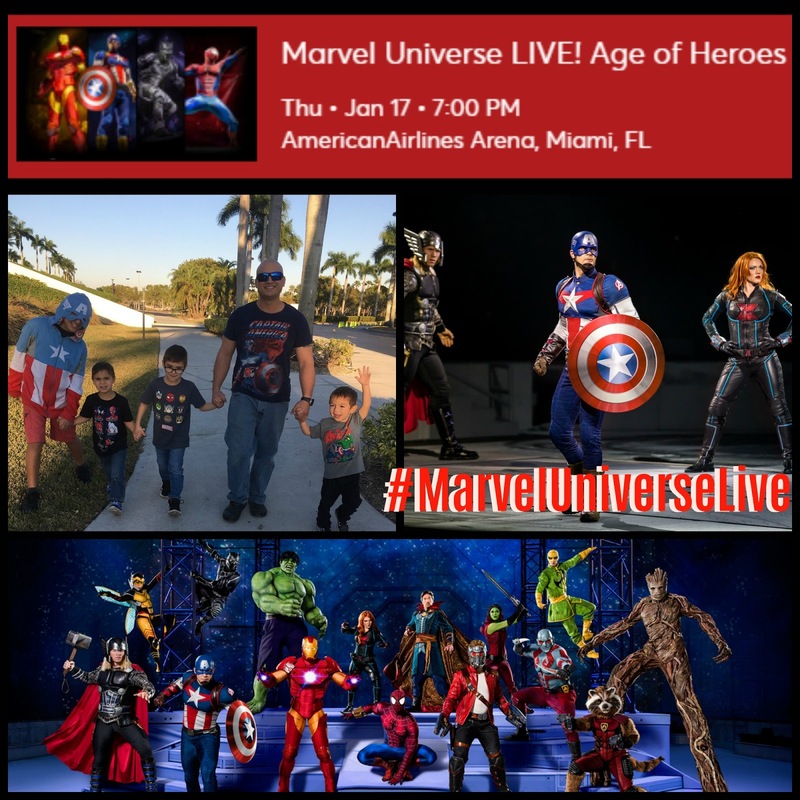 Fans of all ages will be immersed in the Marvel Universe and experience it all with their family...LIVE! " They were so psyched and happy with the show, they can't wait to go again!! It's time to start 2019 with new adventures and opportunities. For her parte, Babushka has joined a giveaway hop for primera vez, and she thinks y'all will enjoy it as much as she is. 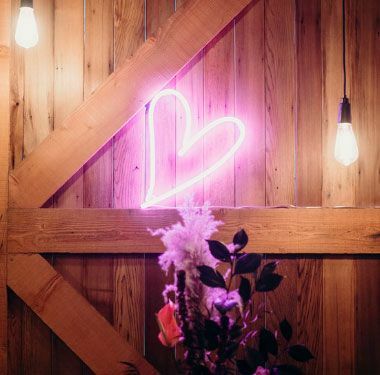 A group of bloggers has joined together to offer a fun variety of premios- cada blogger picked out the prize she was offering. BB knew hers had to be algo she'd love to win herself, so what better than Cafe and a donut? 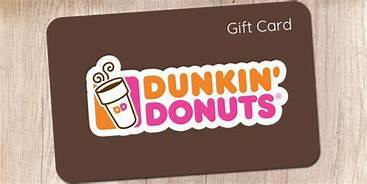 Actually, with a $10 Dunkin' Donut Giftcard you can get more than that, pero whatever you get Babushka's sure you're gonna love it. `Check out the other giveaways; BB's sure you're gonna love them too. 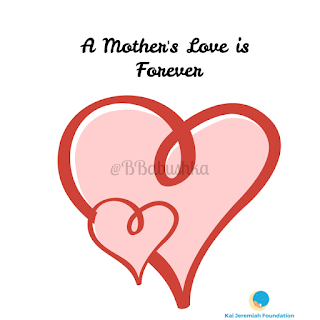 BB has been Blessed with many Beautifuls in her vida- YOU being one of them. BB is grateful for all of you. 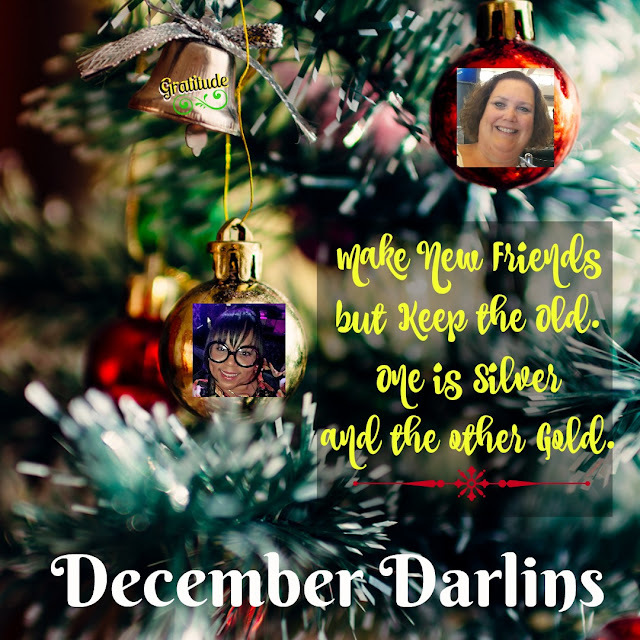 There are two Bellas in particular who give all year round, but shine brighter than usual in December. Babushka would like to share their light in gratitude. The song starting the post is old, but very verdad and describes these two in BB's life. One from childhood, the other from not too long ago. 🎜Silver & Gold🎝 . TG's Papa was a bigwig with the Home Builder's Assoc.and was transferred from Missouri to Miami during our highschool years. Talk about culture shock!! Pero TG acclimated very well and quickly; she learned to love the comida and the people. Bb's Papa calls her "The Cuban from Missouri" to this day. He was impressed by her manners, genuiness, brains. A wiz in math, my engineer father liked having conversations with her. Dear Memories de many happy horas spent in their casa, truly down to earth, loving people who BB missed immensely when they moved away. Since then we have seen each other maybe 4x (she was MOH at Babushka's 1st wedding) but the amor is still there. All year long TG does for others, her familia, her church, her community, but she shines even brighter in December. Most people take their Bday months suave, pero her Cumples is on December 25 (imaginate!) and her inner star enlightens stronger and for so many. 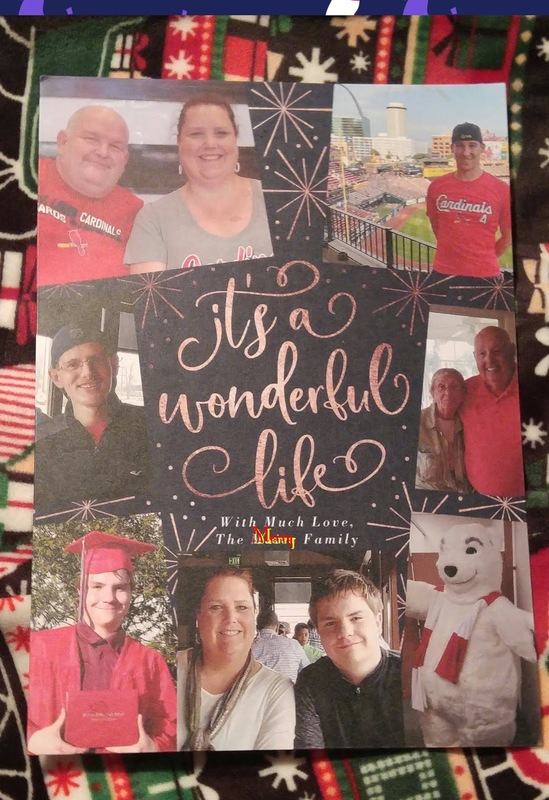 TG is now a mom and every year she sends out fotos with an original Family Christmas Poem sharing the events of the Merry Familia for that year. LOVE getting those. One year she didn't send to BB and it was quickly reclamado! This year Mama G went to heaven, she would have loved the way her passing was shared. She was a good, giving mujer and TG is very much her hija. 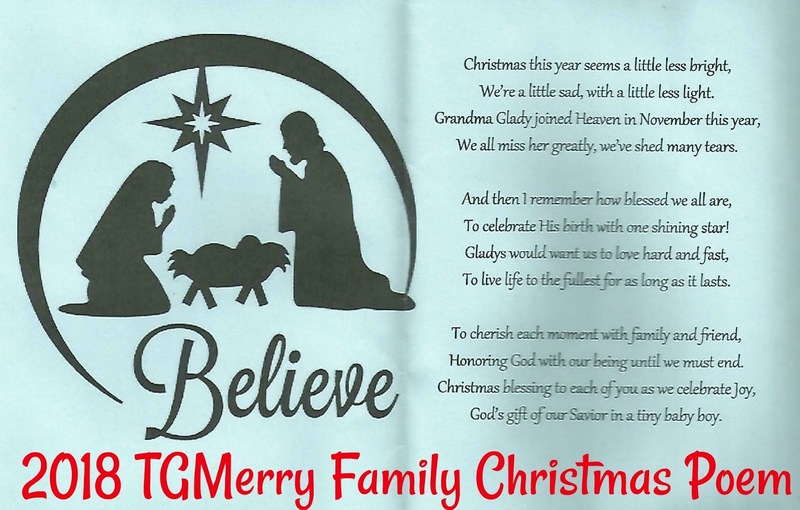 And TG is very much a part of Babushka's Golden Memories. Maria messaged BB several years ago via Feibu. Don't know how she found Babushka, but so glad she did! If you want to know anything and everything that has to do with "La Hispanidad" in Tallahassee, Maria is the one to contact. 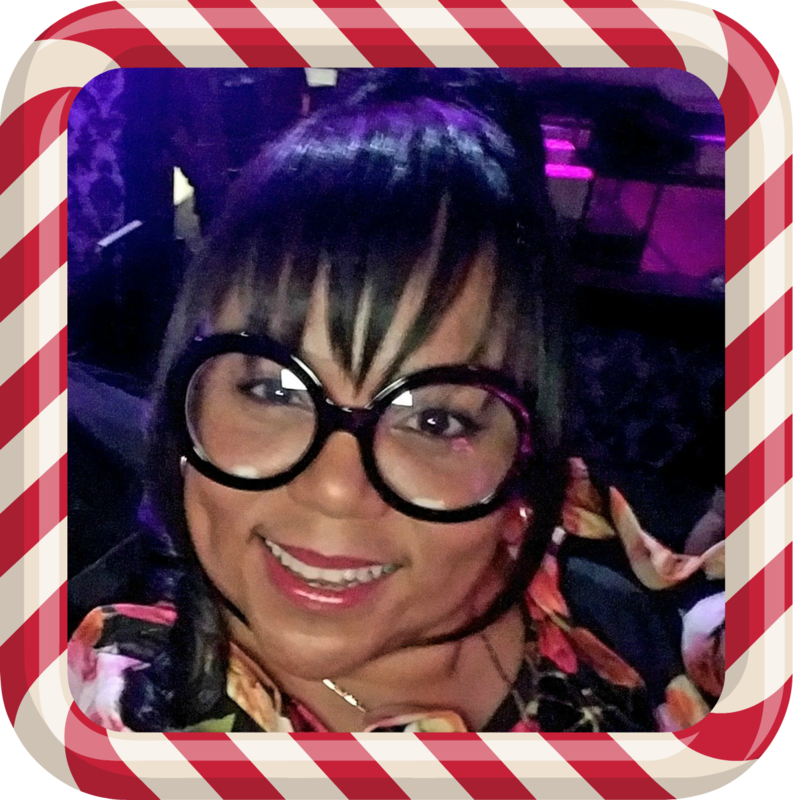 As owner/editor of Cultura Latina Magazine she has been sharing her love of the hispanic culture and people for years. Pero that be the only way she helps and highlights us? JU SO FONII!! 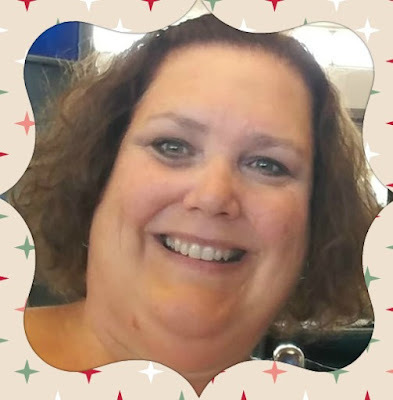 A diligent dynamo, she is sought after to organize and host many events. She lives solidarity and inclusion- of ALL people. Naturalmente she is much loved here because of this, but mostly it's because she gives de corazon, from her corazon. An example of this was a Christmas Low Tea Party, part of Maria Ortiz's Wonderworld. Oh si, she's into cosplay tambien. 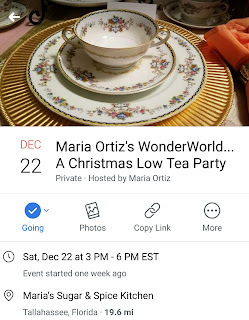 "We are celebrating a very Merry Christmas Low Tea Party by order of the Queen of Cultura Latina Heart in honor of all the years of friendship and sisterhood. You are hereby summoned to attend to celebrate withthe ueen who has planned a fabulous afternoon with tea and treats!" Enjoy the detalles and the delightful dignitaries- Tally artists, writers and lovers of culture. Cynthia Rose, Barbara Joe Williams, the lovely madre/hija team behind Studio Heart Events amongst them. Hope you noticed the Reyes Magos amongst the decoraciones. Naturally they had to be represented, especially by Maria who celebrates them with a public party. She's even got the Mayor in on it! Details on that despues on Feibu. Babushka knows y'all would love these Bellas as much as she does. This is just BB's way of showing a little Amor and saying Gracias for their years of friendship. Hoping you have Silver & Gold in your lives, and that they know how precious they are pa' ti.